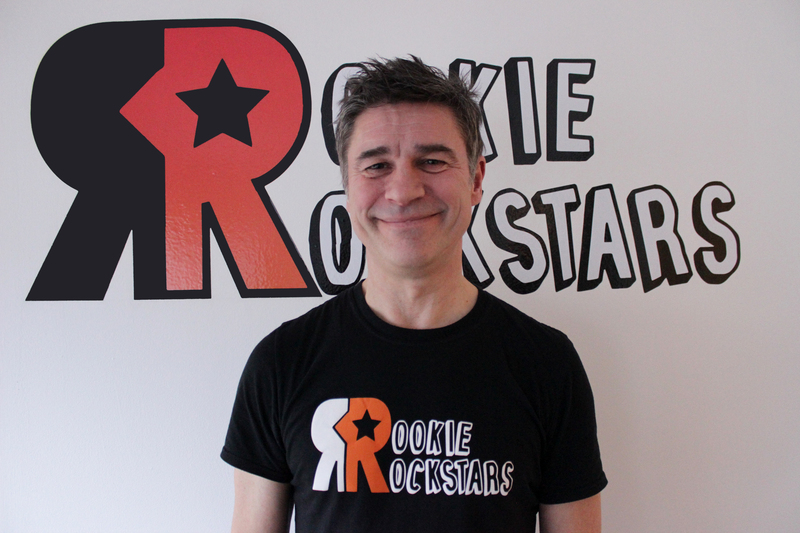 Dave wrote the original Rookie Rockstars programme with a view to positively impact young people all over the UK. Dave had a tough time at school, having been severely bullied for a number of years. He wanted to seize the opportunity to help children understand that they are all special, they should have confidence in themselves, that they should never give up and to always remember that bullying is not right! His energetic, fun songs have helped teach these positive messages to approx ONE HUNDRED THOUSAND school pupils across the country. On the back of the success of the programme Dave has written a second programme for schools and opened our very own School of Music which currently has two campuses in Kirkintilloch and Cumbernauld respectively. He also added a Mental Health Counselling service in 2018 which is growing at an incredible rate. 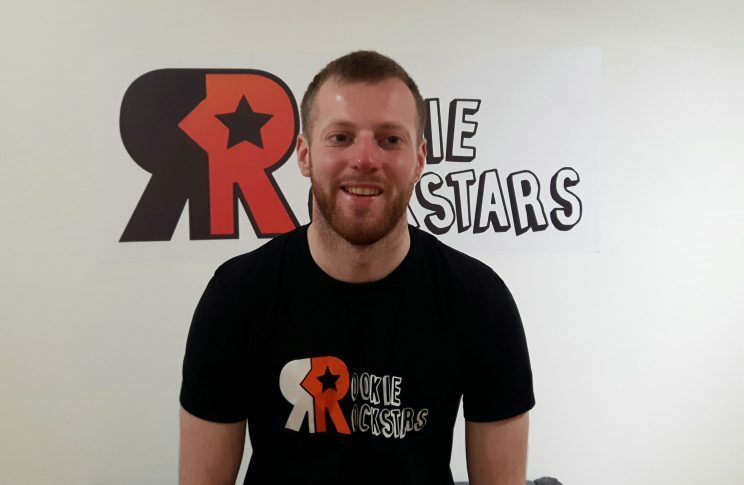 He is passionate and focussed about continuing to grow the charity and helping as many young people as he can! 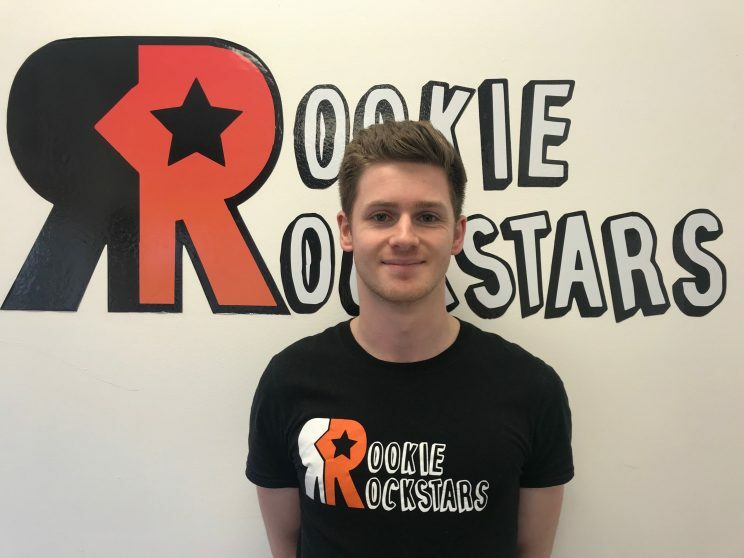 Dave has pretty solid musical credentials too having toured worldwide with his band before starting the Rookie Rockstars Programme. Sara has been involved with many charities over a number of years. Yorkhill Children’s Charity, MediCinema, Homestart Glasgow North, Noah’s ark Children’s Hospital for Wales and Ronald MacDonald House have all benefited from her experience over the past number of years. Having joined initially as a volunteer her talents were noticed early on which saw her offered a key role within the organisation. 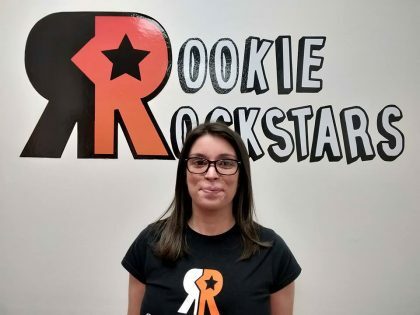 She now manages the office and its staff as well as working closely with schools to ensure the smooth delivery of the Rookie Rockstars Programme. 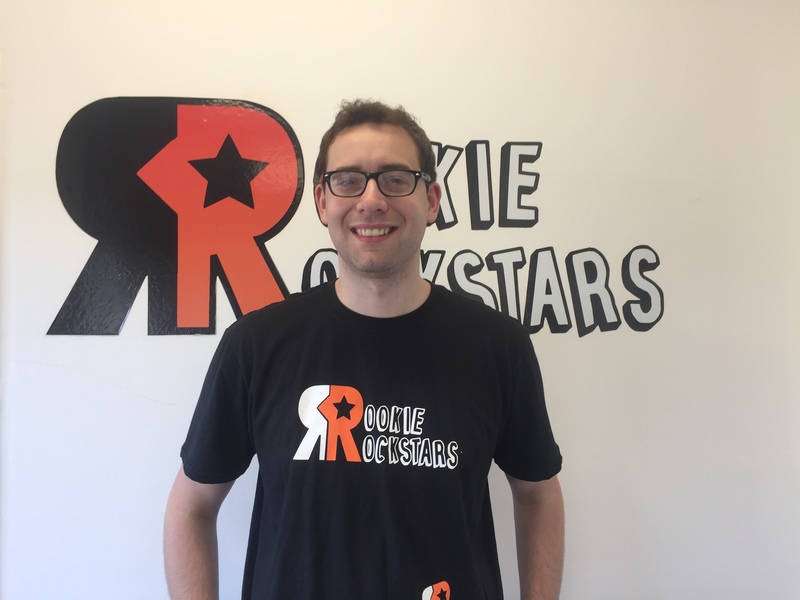 As you can see by looking through our staff list, Dave’s family have been a massive support to him in getting Rookie Rockstars off the ground and getting it to where it is today. In fact in order to actually see Dave (who works a lot!) his wife Ela has decided to officially join the staff team to help out with admin for both the schools programme and our school of music. Kristin is currently a media student by day and an important part of our team by night. 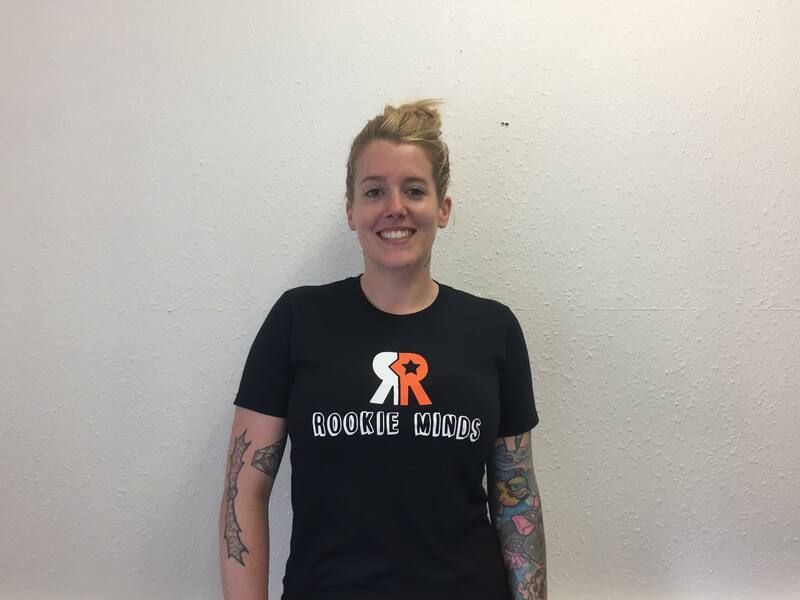 She has previously been involved with charities such as Glasgow Sport and her freelance work has been focused on creating media content, filming and editing promotional videos. 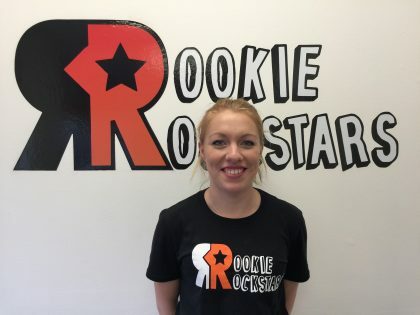 Kristin has a passion for video-making and advertising and views Rookie Rockstars’ programme as an inspiring project where she could enhance her skills. She is also the first face you will see when you attend our School of music in Kirkintilloch and your first contact on the phone for all of our Music schools after 3pm. 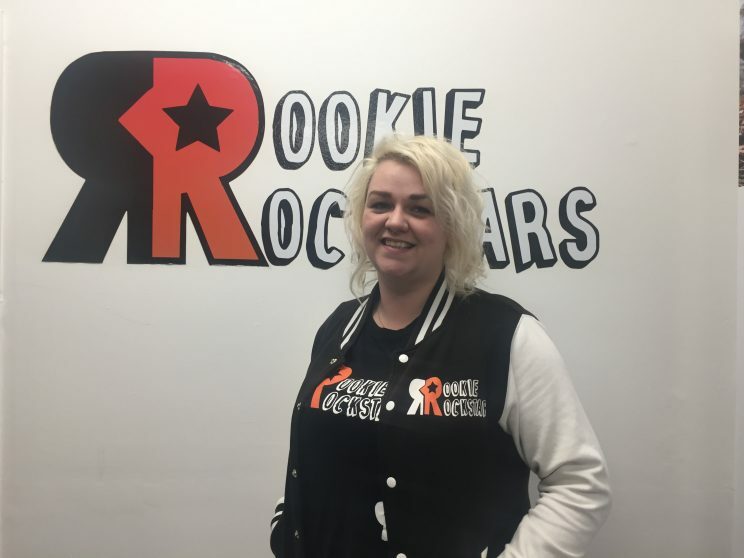 Emma started out with Rookie Rockstars as a Fundraising Coordinator. She has now taken on the management of our music schools. With a background in psychology she understand first-hand the significance of the cause we are passionate about. Having worked with many non-profit organisations, charity is very close to her heart. From teaching English in Sri Lanka to jumping out of planes for the Prince and Princess of Wales Hospice, she has done a lot of mad things for the cause. 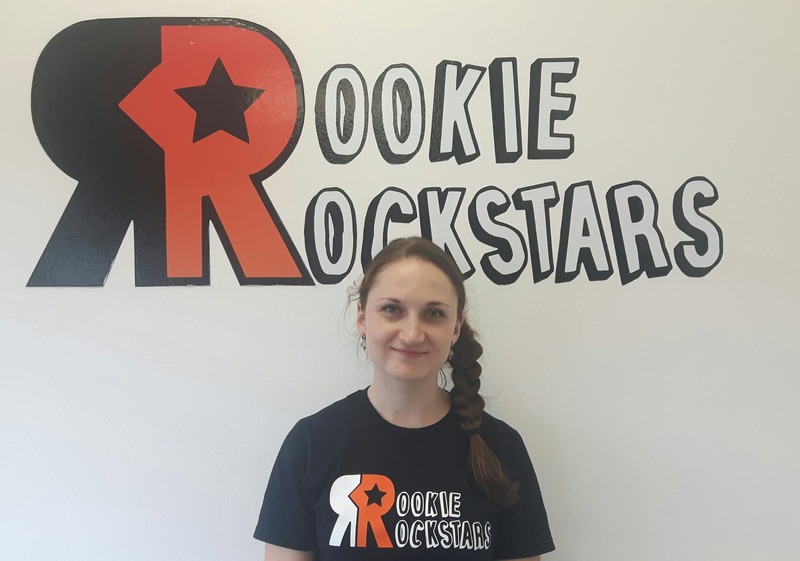 Sylwia has joined Rookie Rockstars recently and will try her best to help to keep the books right. Sylwia has BA in Accounting from the University of the West of Scotland and also MA in Economics and Organization of Enterprises from the Radom Technical University. She is a mum to Jakub (8), loves reading books and eating healthy. 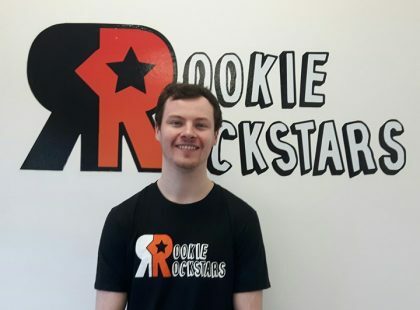 Steve, did his first Rookie Rockstars week in September of 2014. He is an accomplished singer, musician, songwriter and playwright! He has performed internationally and played in bands with a variety of styles including indie, folk, soul, punk and of course, rock! He is a loveable big guy and very popular with all pupils, perhaps because of his love of robot dancing! 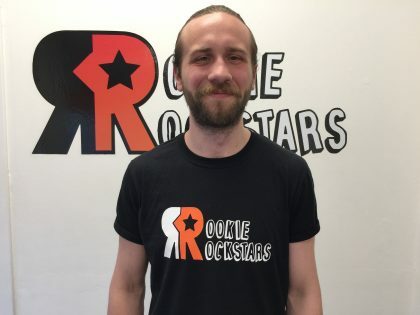 After doing our schools programme for a few years Steve now works in schools helping pupils improve their literacy skills through song writing. Also in our East of Scotland team is Glyn. He has had a long and successful career in the music business from playing to teaching and even selling musical instruments. 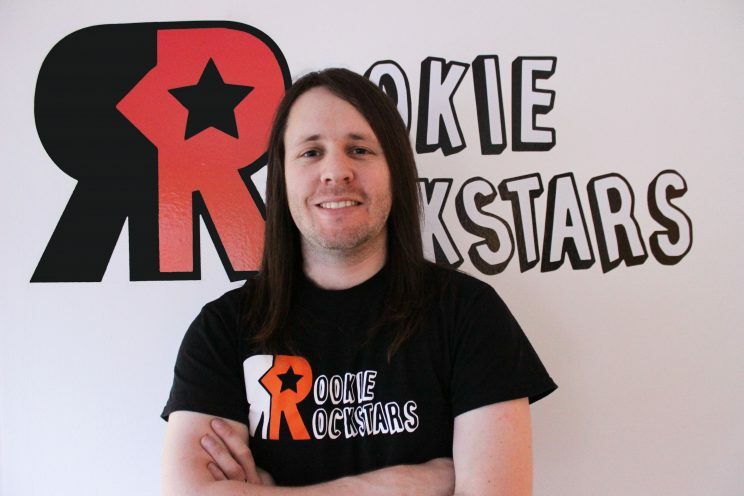 He still performs regularly however he wanted to get involved with Rookie Rockstars having seen how worth while the project is. We are glad he did. 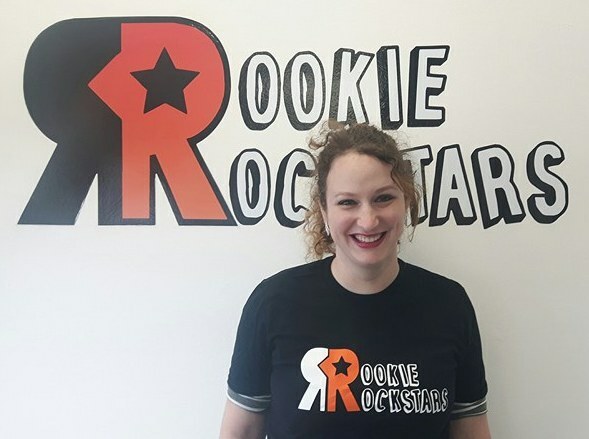 Abbi joined Rookie Rockstars in February 2019. 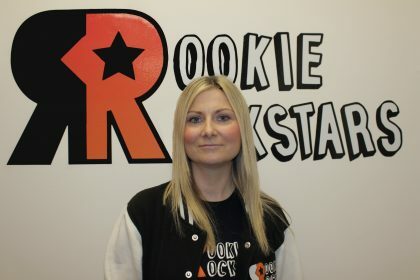 She is a singer and has lots of experience working with young people through youth groups and childminding. She is a musician and plays regularly in different Churches and has taught music to young people one to one. 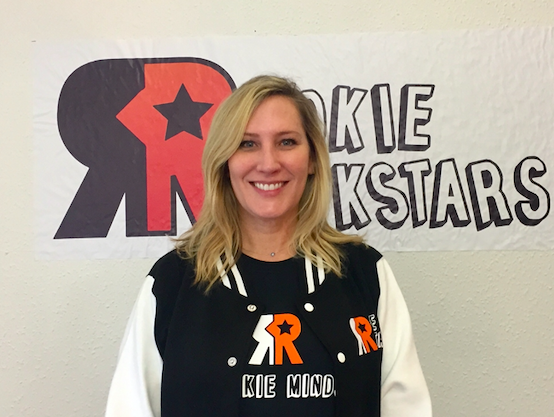 She is very passionate about the messages Rookie Rockstars promote and is extremely happy to be a part of such a positive programme. Neil went to college to study performance drums & popular music and uni to study music composition, performance and popular music study. But his experience in music and his skills were made and honed as a live performer for the last 14 years or so. He has Recorded, Toured & played all over the country and around the world with over 30 acts, artists and bands of all sorts of genres. When he’s not gigging he runs his own studio for recording, production and composition of music and drumming the company is called ‘Nautilus Studio Productions’. His passion is playing drums, making music and showing others they can do it to! 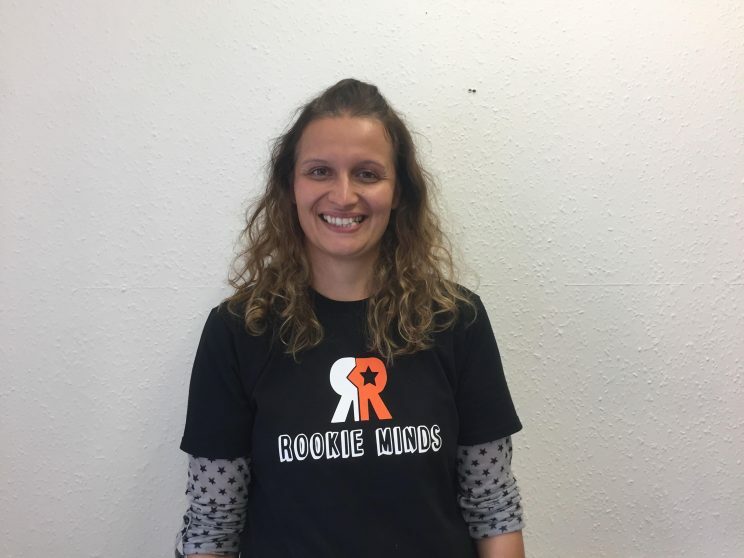 Elaine is a qualified Cognitive Behavioural Therapist (CBT) and a Certified Practitioner of Therapeutic Play, working with young people, children and adults experiencing a range of mental health issues. Elaine is based in our Centre in Kirkintilloch, providing therapy to children and teenagers. 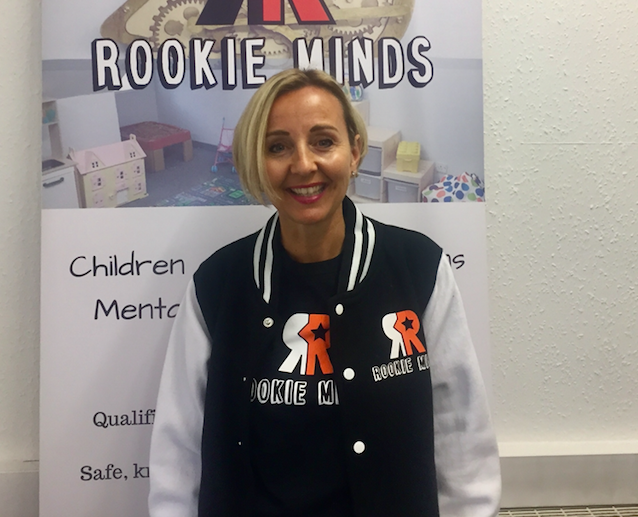 From an extensive career in business, Elaine also supports the increasing number of schools that use our Rookie Minds service to provide much-needed counselling to their young people. She is driven by a strong belief in early intervention and making therapeutic support available to everyone in need regardless of their background or means so spends a lot of her professional life working with charities which offer free counselling services. Verity has come from a background of support work with Deafblind UK and volunteered as a counsellor with Mind working with both adults and young people. She is also fluent in British Sign Language and undertakes online counselling with Deaf4Deaf, a service for deaf people with mental health issues. Verity is a qualified Psychotherapist with an integrative approach which she gained from Staffordshire University in Stoke-on-Trent, England. She has experience working with anxiety and depression, loss, disability, suicidal thoughts, abuse, family, school and relationship issues. Verity is excited to be working with Rookie Mind and is passionate about working with people mental health. Music & drama clubs are what got Lauren through childhood and led her into studying Acting & Performance after leaving school. Following this, she moved on to work in Childcare for several years and decided to take her experience in both fields and turn it into a career in Counselling. She is a fully qualified Cognitive Behavioural Therapist and has spent the past few years counselling in schools, within the NHS & in the private sector. 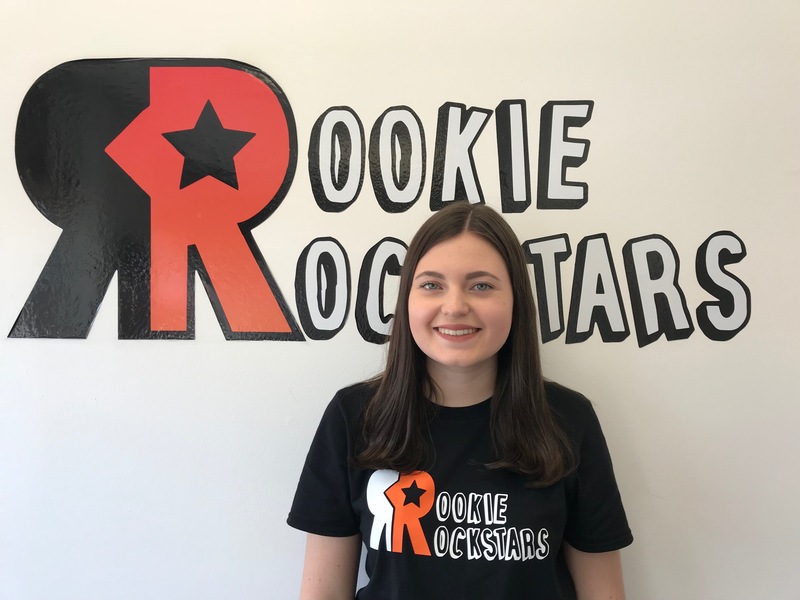 Lauren is very excited to be joining our Rookie Minds team and can’t wait to get started on helping young people in the area! 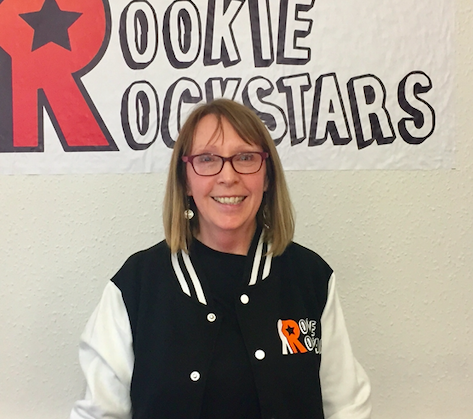 Sally is a highly experienced and qualified counsellor who has worked extensively with children and young people over the last 25 years both in her capacity as a teacher and counsellor. 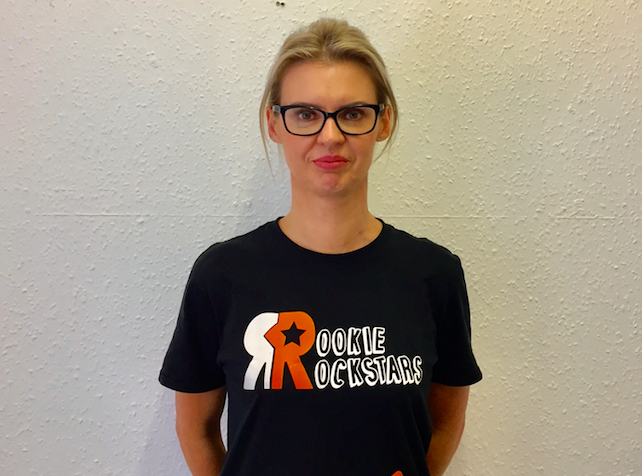 Since graduating from Queen Margaret’s University as a Psychodynamic Counsellor, Sally, who is passionate about early intervention for mental health issues has project managed a counselling project in school covering a wide spectrum of mental health issues. Having 3 children of her own, Sally fully understands the impact that mental health can have on the family as a whole. 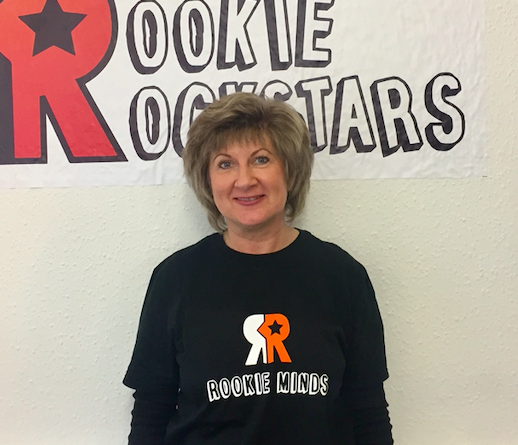 Sally is delighted to join the Rookie Minds team to continue to expand the service throughout schools and within the Rookie Minds base in Kirkintilloch. Holly started her counselling journey in 2010 – after completing a HNC in counselling she started volunteering for Place 2be. It did not take her long to realise working with children was where her heart was meant to be. 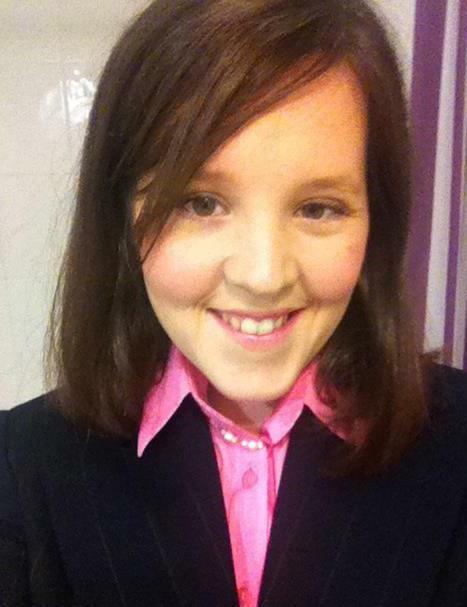 Holly has helped enable many children find their confidence, their voice and their smile. With much passion, drive and determination Holly graduated from Queen Margarets University with a Diploma in Counselling Children and Young People. 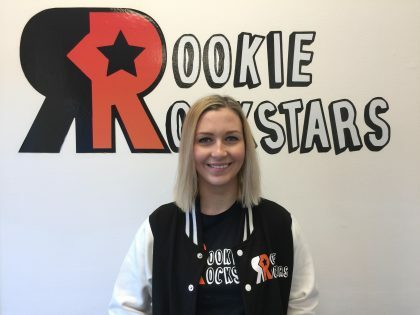 The same year saw the birth of her daughter and Holly made it her goal to continue on her work as a counsellor and continue to help make positive changes in the lives of children. 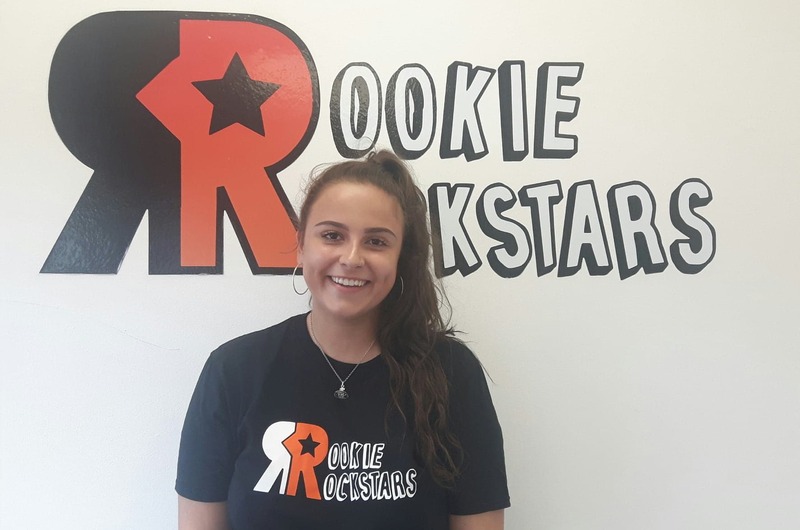 Holly volunteered as a counsellor for children at the Sunflower Garden in Edinburgh and for Cancer Support Scotland, she also currently is a counsellor for children at Team Jak based in Livingston. 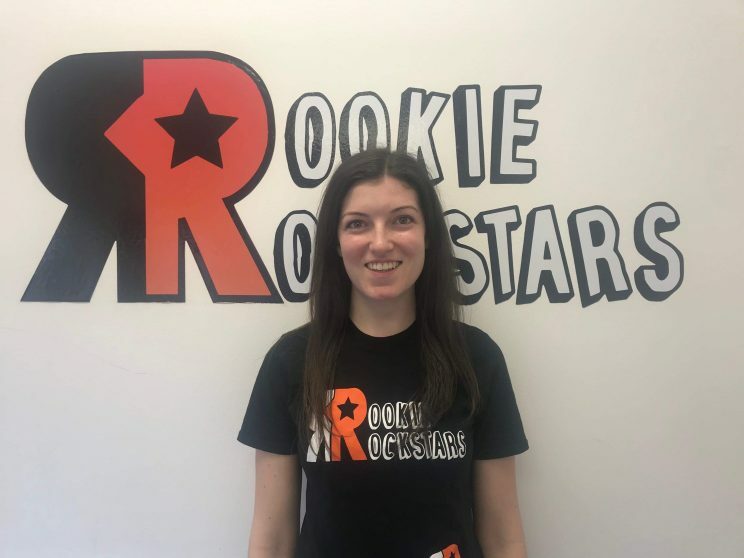 Holly is looking forward to the next chapter of her counselling journey at Rookie Minds and is proud to be part of the Rookie Rockstars family. Karolyn is a Mental Health professional based in Glasgow. She has extensive experience providing counselling in primary schools within Glasgow City Council. She has experience working with: bereavement, anxiety, loss, separation, attachment and many more areas of mental health. 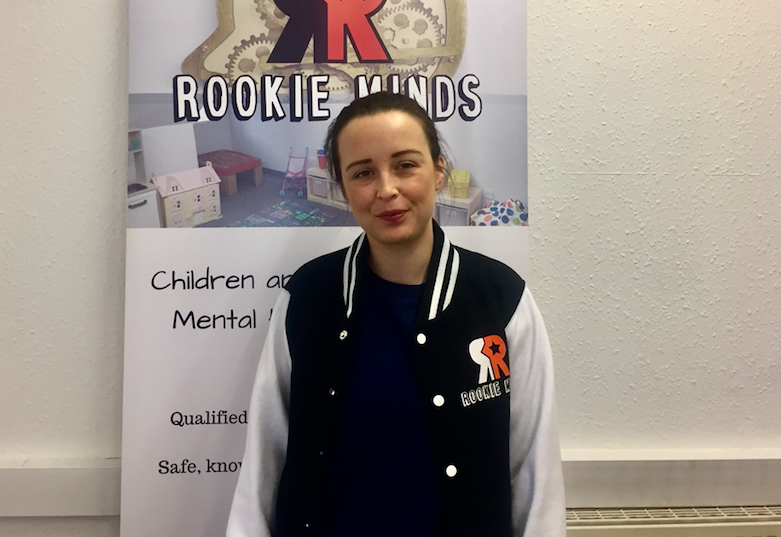 Starting her career as a nursery nurse Karolyn gained her post graduate diploma in person centred counselling from Strathclyde University. Through her experiences of working with both adults and children it became clear that her passion was working in early intervention within mental health. Calum developed a love for music and guitar at an early age, which would lead him to a successful career as both a performer and a teacher. He began his formal studies at Strathclyde University’s BA Applied music course before moving to the United States to study at the University of Denver’s Lamont School of Music, where he earned a Masters in Classical Guitar performance. Calum has performed as a soloist and in various ensembles across Europe and the United States, in recent years as one half of his award-winning guitar duo, Derelict Hands. In addition to his work as a classical musician, he has continued his passion for rock and heavy music by playing and recording guitar and keyboards in various bands. 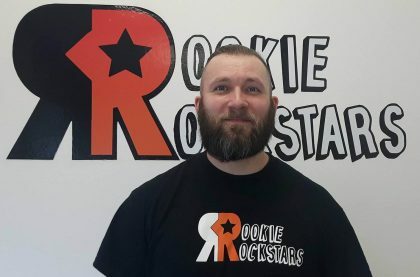 He is also an enthusiastic teacher who loves to share his passion for music with his students, and to see them develop and grow throughout their time learning with him. Tommy is a guitarist and songwriter based in Glasgow. 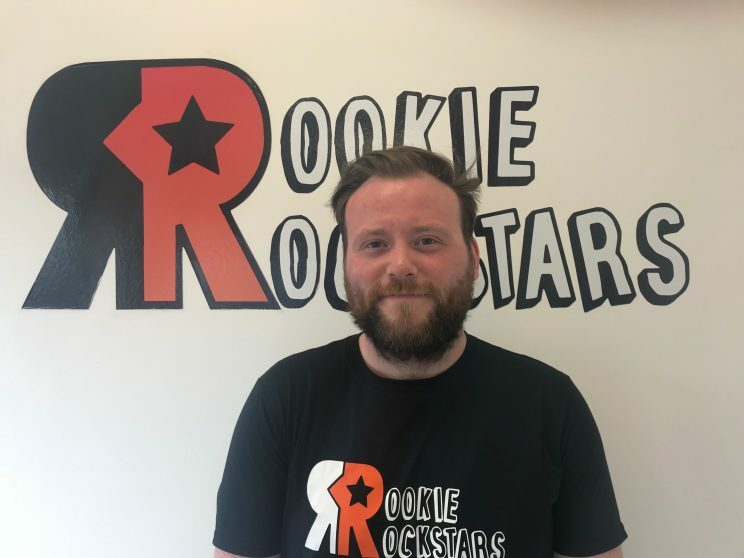 He is an experienced performer, having participated in professional productions in venues such as The O2 ABC, The Beacon and numerous other venues across Scotland. 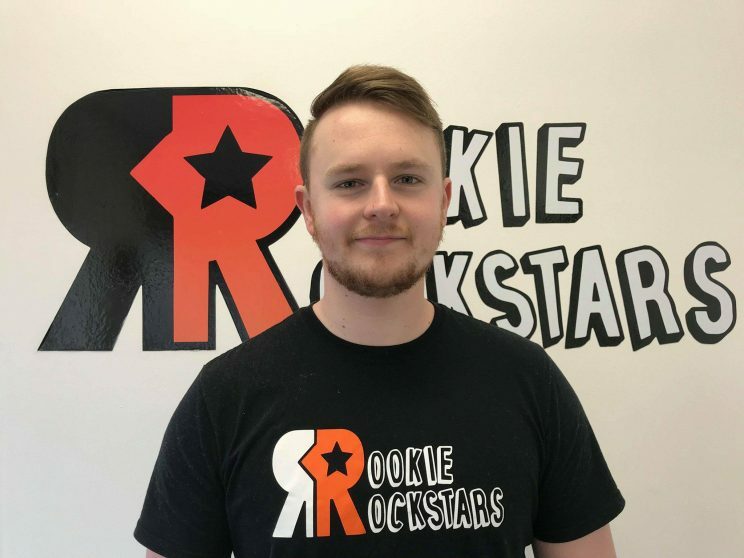 Through studying Music at West College Scotland where he gained top marks, as well as spending a year on the BA Applied music course at the UHI, Tommy became proficient in a variety of styles – from funk/jazz fusion to rock and punk. In addition to performing, Tommy has gained experience in a number of areas of the music business: From organising and promoting concerts to working as an audio-engineer/producer from his home studio. Self-taught from a young age, Tommy started teaching because he knows it can be difficult to learn about something as complicated as music without a little help and is passionate about guiding students to reach their full potential as musicians by equipping them with all of the knowledge, skills and confidence to succeed. Dario is guitar tutor for our Cumbernauld Music School. Having graduated with a BMus (Hons) Music Performance degree from Kingston University, London, Dario has been involved in many musical endeavours including performing with many singer-songwriters across Scotland, working with various function bands, his main band being Studio Wedding Band, as well as performing regularly with folk-fusion band Eriska. Highlights in performance include performing at festivals around Scotland such as Celtic Connections, ButeFest and Piping Live, TV appearances on STV and BBC, performing for the cast of Still Game and Scottish band The Bluebells, as well as taking part in Festival 2018 as part of the European Championships in Glasgow. Tomi hails from Croatia where he has earned a Master’s Degree learning classical percussion from such greats as Božidar Rebić, Ivana Bilić and Igor Lešnik at the University of Zagreb, Music Academy. He has performed with quite a few established orchestras and ensembles at home and internationally and has thought percussion and drum set for six years, principally at Pavao Markovac music school in Zagreb. In his spare time he likes to record some of his favorite tunes for his YouTube channel. Music holds a special place in his heart and he continues to specialize in drum set and electric guitar. 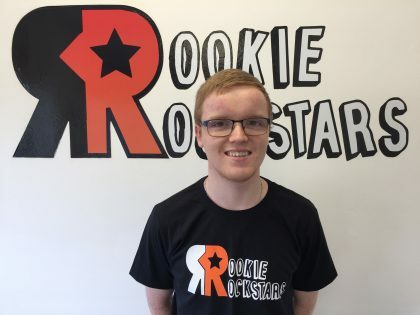 Chris is currently a full time student studying a Bachelor of music degree at Edinburgh Napier university. From starting out on classical piano in 2007 to now performing with various synthesisers, keyboards and software, He has developed a large number of skills over the years as a musician, sound designer and producer. As well as having performed in many parts of the UK and in Europe as keyboardist with Ignite Music he regularly works with many other artists both for recordings sessions and in live performance from classical orchestras to rock bands to the Christian music scene, giving him hands on experience in several genres. Fraser’s love of music has been around since a very young age. He holds a BA Hons in Commercial Music and was trained as a classical vocalist by Dr. Agnes Hoey M.B.E. of the Glasgow Youth Choir. He has worked in various studios and venues throughout his career, namely, the Royal Concert Hall, Glasgow Fruitmarket, Oran Mor and Gleneagles Hotel. 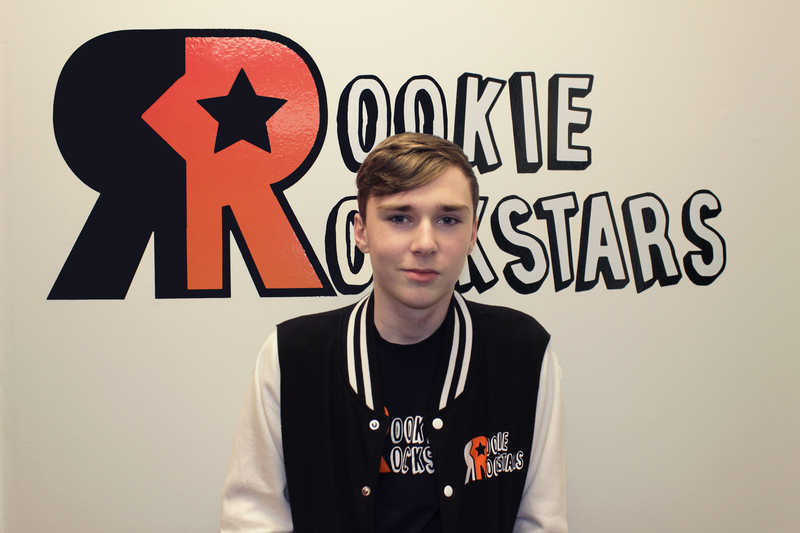 He is continuing his successful career here with us at Rookie Rockstars teaching vocals and guitar. Upon completion of a degree in music business and a HNC in music performance, Mark focussed on excelling his abilities to a high technical standard. Mark has subsequently played drums for tours and festivals for various bands on a session musician basis from Shetland to London and in various countries across the European mainland. Some of Mark’s festival appearances include Rebellion Festival held in Blackpool, the biggest Punk Rock festival in Europe UK Tech Fest, one of the biggest Progressive Metal Music Festivals in the UK and Tribfest, the biggest Tribute band festival in the UK. 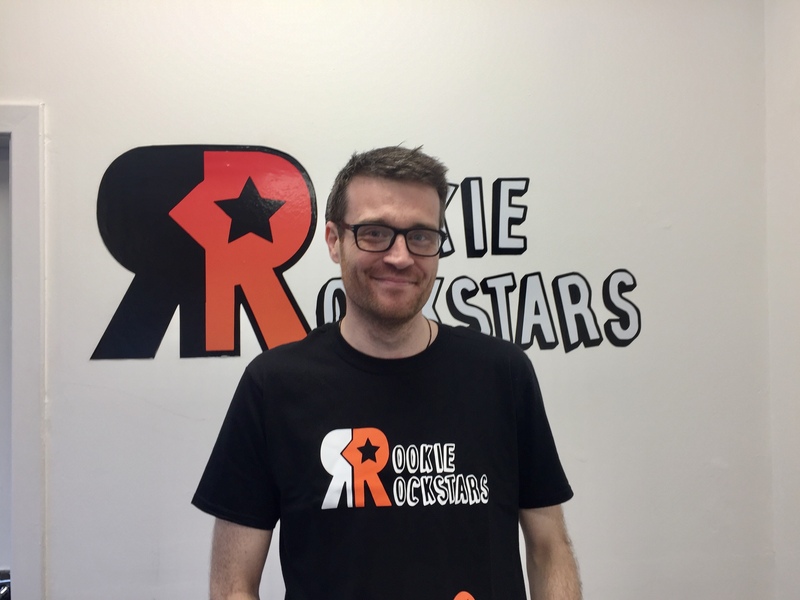 Mark has always been influenced by musicians whom have doubled as great teachers and so has developed and refined a set of teaching skills and exercises with which to inspire and educate others as he has been. 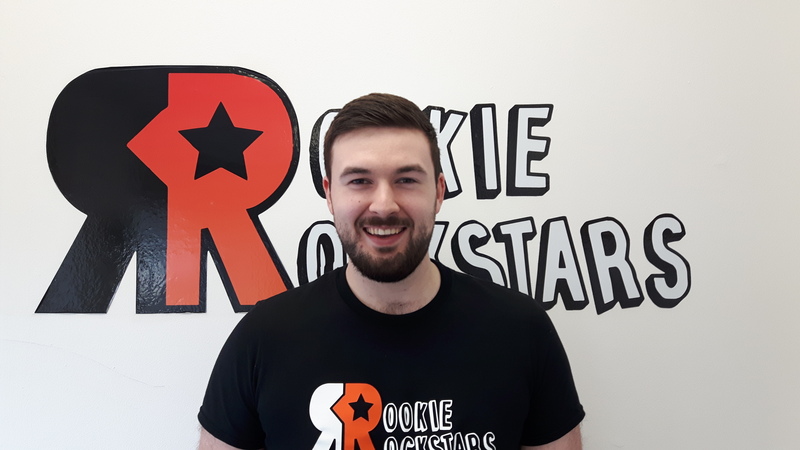 Andrew Power Whitelaw is a care worker and psychology graduate based in Glasgow, and will soon be starting a masters course in counselling and psychotherapy as he wants to one day be a counsellor. He started learning classical guitar at the age of 8 and has since been involved in band performances, busking, and open mic evenings in different cities across Scotland. Andrew is now a confident guitar player, bass guitar player, and singer. His main aim as a tutor is to enable young musicians to gain confidence in their instrument so that they can get the most enjoyment out of it; after all, for Andrew music is all about having fun. I am a classically trained Singer, Pianist and Composer, with an advanced level in Piano, Singing and Music Theory. Currently, I am a student at the Royal Conservatoire of Scotland studying Music, specialising in Composition. I have been involved in many musical performances such as, choral, local concerts, musicals and charity events. My versatility allows me to explore many different genres of music including Classical, Musical Theatre, Jazz, Pop and Contemporary. I have also been involved in many music groups, choirs, and collaborative practices, and I am currently a chorus member of the Royal Scottish National Orchestra. I often have the role of musical director and have experience in teaching piano, singing and music theory. There is nothing more enjoyable than watching your students grow and helping them enhance their musical abilities and individual styles. Leaving my home country Cyprus, I have moved to Scotland for my studies at the Conservatoire, and I have showcased my work at the Plug Festival 2018, The Edinburgh Fringe Festival 2018, and have recently just completed an orchestral piece, which was performed by the BBC Scottish Symphony Orchestra, premiered in a show called ‘Last Futures’. I am loving Glasgow and the colourful, cultural vibe of the city, and am very keen to contribute to its musical brilliance. Bobby Osborne is a Scottish guitarist, composer, tutor and arranger. As a professional guitarist, Bobby has amassed a broad portfolio which includes serving as musical director and lead guitarist for Grammy-nominated jazz artist Andromeda Turre; as arranger and featured soloist in swing band Radio Pachuco and leading the modern jazz outfit The Bobby Osborne Band alongside regular theatre, studio and pit work. As a composer, he has written scores for film and museum exhibits for a variety of formats and ensembles. As a member of the band Kung Fu Academy, he released three E.P.s of original music to critical acclaim and toured throughout the country. 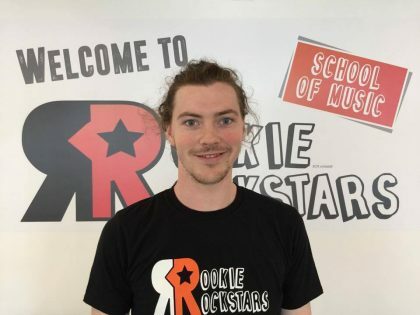 He earned his BA Honours degree in Music at Edinburgh Napier University, receiving the highest marks among guitarists in his year for final recitals. 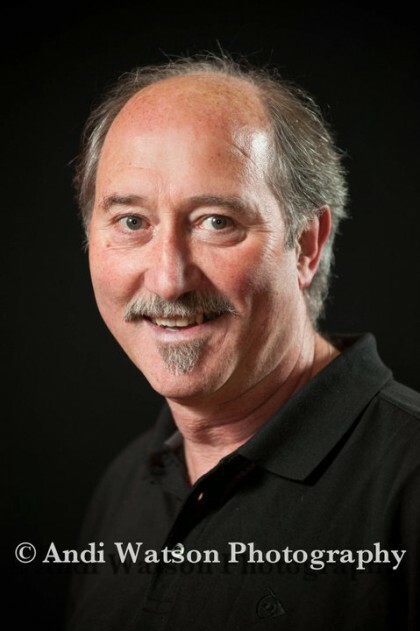 With ten years experience as a music tutor, Bobby has taught all ages from 3 to 60. Before joining Rookie Rockstars he delivered lessons for The Rock Project and Falkirk Community Trust alongside working as private tutor and freelance teaching for high schools, youth clubs and summer camps. His teaching is driven by the belief that music education is increasingly important in our global world, transcending cultural divides and language barriers and serving as a vehicle for universal communication and expression. Ross Gunning is the Founder and Creative Director of the Glasgow Philharmonia, after creating the orchestra in 2012. 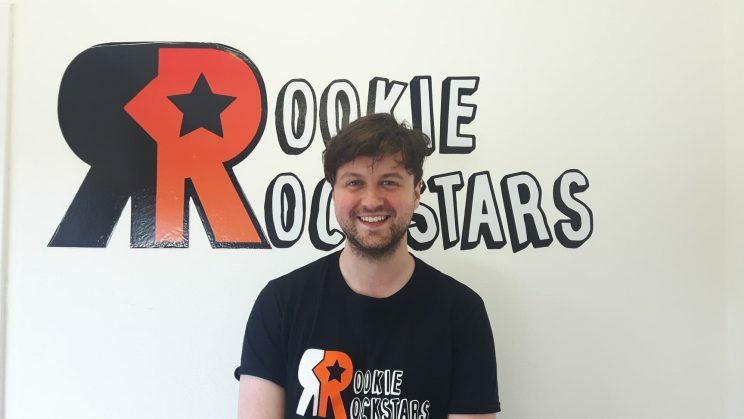 As a graduate of the Royal Conservatoire of Scotland with a BMus degree in Timpani and Percussion, Ross has gone on to give over 400 young talented performers many diverse opportunities in the Arts industry and created Showcase Events Performing Arts Challenge. He also received the Young Scot Arts Award 2015 for his work in the Arts industry. As well as the Glasgow Philharmonia, Ross has taken a number of orchestras under his baton. He has also collaborated with a number of organisations as well as leading a Rock Choir for 3 weeks as part of their summer sessions. Ross has conducted repertoire by Stravinsky, Rachmaninov, Tchaikovsky, Shostakovich, Vaughan-Williams, Bruch, Schumann, Beethoven as well as many Musicals and Movies soundtracks. 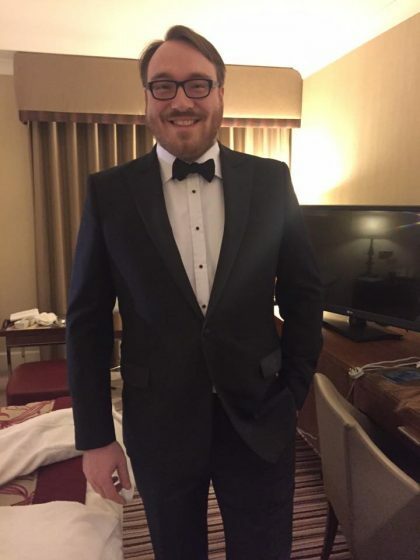 He has also assisted John Wilson with the John Wilson Orchestra for their BBC Prom in 2013 as well as being rehearsal conductor for Catherine Larsen-Maguire in 2016 with the Glasgow Orchestral Society. Cameron teaches keys with us in both Kirkintilloch and Cumbernauld Branches. 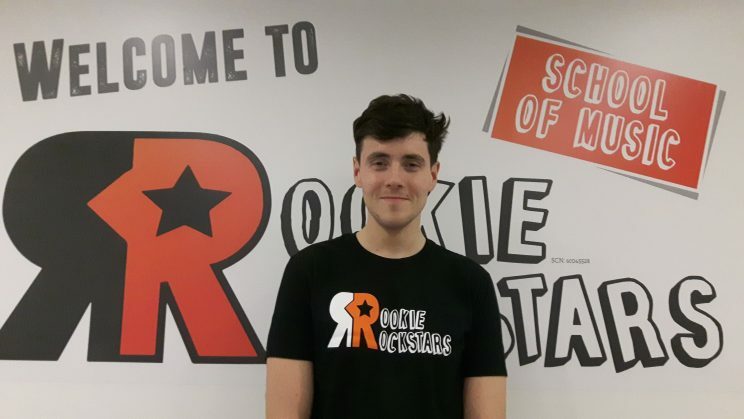 He obtained a Diploma in Higher Education of Music at the Royal Conservatoire of Scotland but is currently training to study BMus in Vocal Studies in the next couple of years. Cameron is extremely passionate about music, ranging from classical music (piano, tenor voice) to more modern types of music (e.g. house & techno). In his spare time, he enjoy travelling – visiting Iceland and Amsterdam in 2019 already!. He also enjoys creating his own music, training himself using an electronic platform where he has made various types of music based on multiples genres. 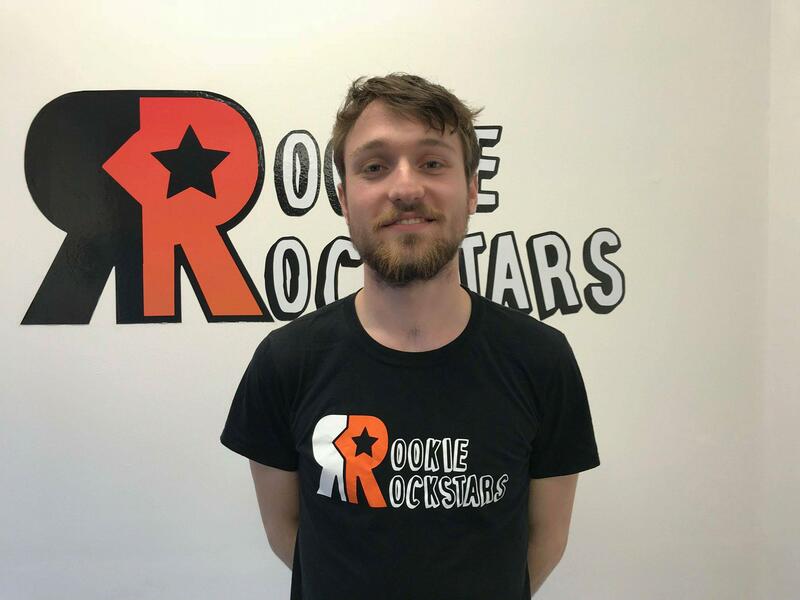 Duncan is a self taught guitarist with a keen interest in song writing, music science and sound design. 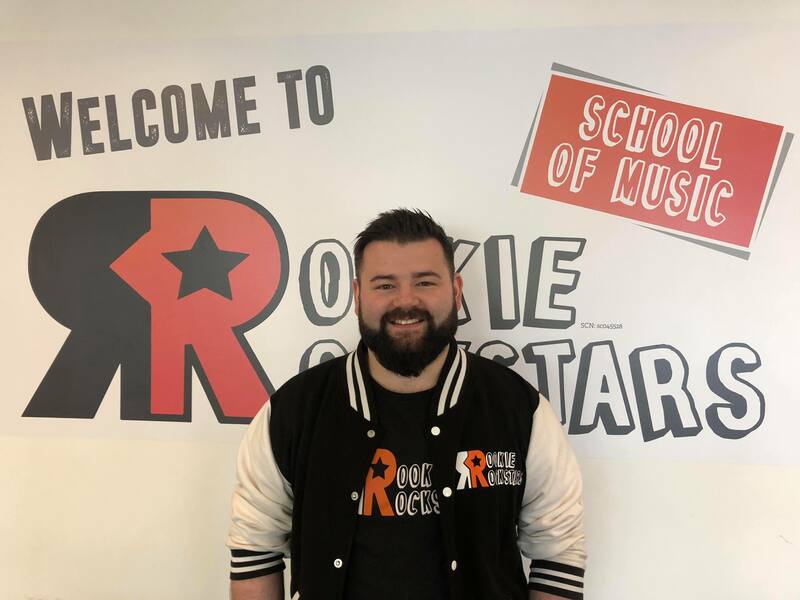 After developing a passion for music, Duncan completed a HND in Popular music through Edinburgh College, before obtaining a 2:1 in a Bachelor of Music (Bmus) degree through Kingston University. 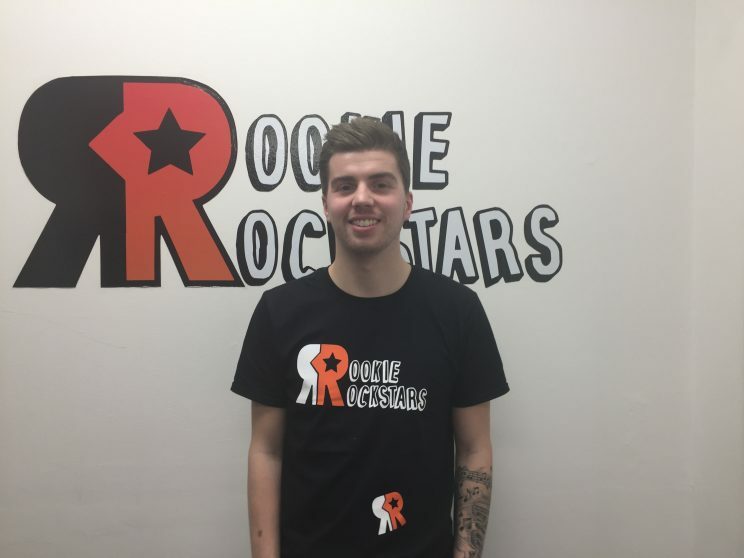 Whilst completing his degree Duncan obtained extensive experience as a performer, working in a selection of bands as a guitarist, bassist, and occasional vocalist. He also discovered a passion for Sound Design, completing courses in advanced techniques in composition for Film and T.V, and arranging sound to advertisements for Channel 4 and Virgin Media. Duncan is aiming to progress into the field of music and neuroscience, working towards understanding the links between music and the memory. Ross is a composer, arranger and pianist. Since 2016 he has worked as one half of the Gaelic ambient electronica duo, WHYTE with singer-songwriter Alasdair Whyte. WHYTE’s debut album, ‘Fairich’, has received positive media reviews and regular national and international radio airplay. Ross also composes and arranges music for mixed choir. In 2016 he received a commission from the Gaelic choir Bùrach to write a new arrangement of the 19th-century song ‘Leis A’ Bhàta Dhubh Dharaich’. The choir performed the arrangement at the Royal National Mòd 2017 and were awarded the Sheriff MacMaster Campbell Memorial Quaich. Ross is currently working on a new album of solo piano works and the WHYTE follow-up album. Allie is a singer/songwriter from Glasgow. She is an experienced performer, having sung since she was three years old and attended lessons for 5 years. 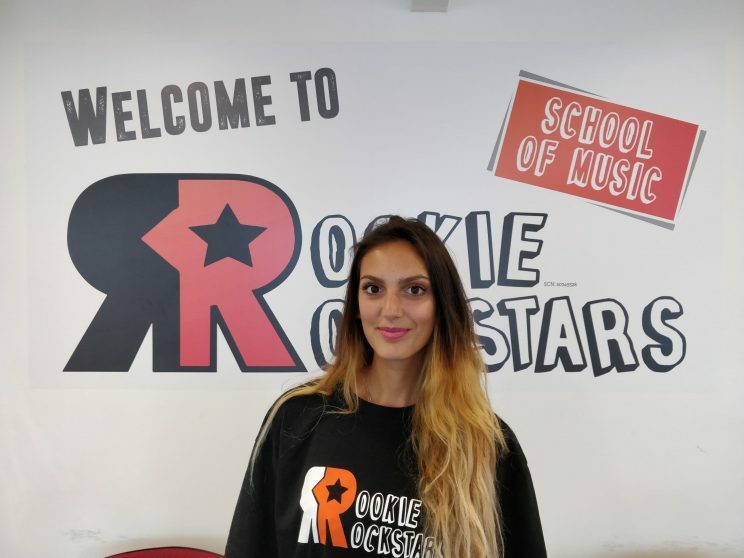 She has supported acts such as Stooshe, performed in many well-known venues such as the Royal Concert Hall, the SECC and the Lowry Theatre in Manchester and has appeared in productions of Grease, Camp Rock, Little Shop of Horrors and High School Musical. She has recently graduated from the Academy of Music and Sound with a 2:1 honours degree in Performance Industries and is keen to put it to good use. 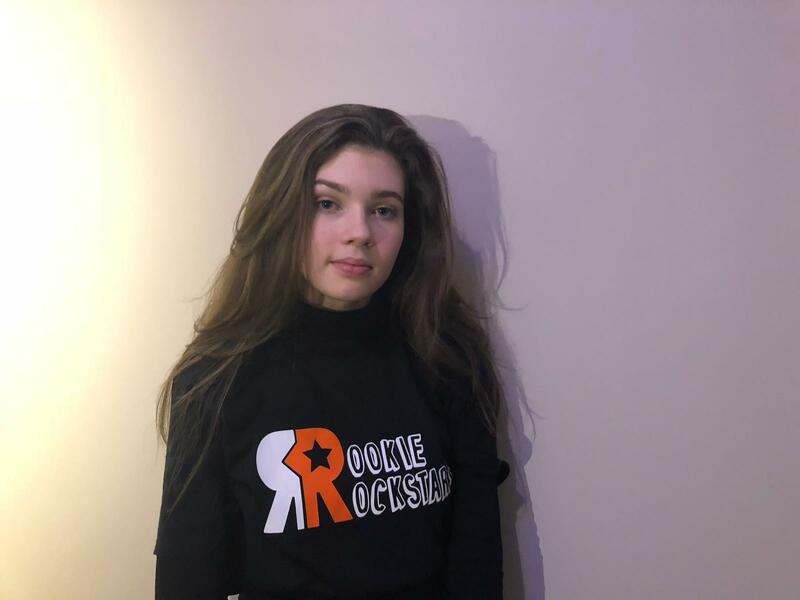 When Allie isn’t out performing or writing, she loves to encourage singers to utilise whatever talents they have and build confidence in others as she has not always had confidence in performing herself. Jamie is a graduate from the the Academy of Music. He is a multi instrumentalist who specialises in guitar. He has an extensive amount of performing experience and loads of enthusiasm for teaching. Rhona is a young musician who started playing guitar at the age of 8 and joined her first ceilidh band aged 10. 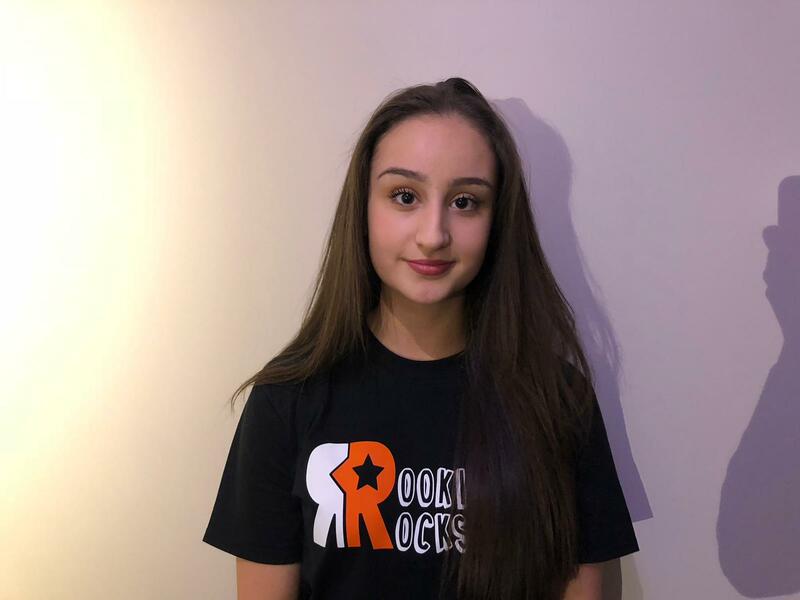 She achieved her RGT Grade 8 Acoustic Guitar aged 15 in 2015 and received the Student Of The Year award at her music school. 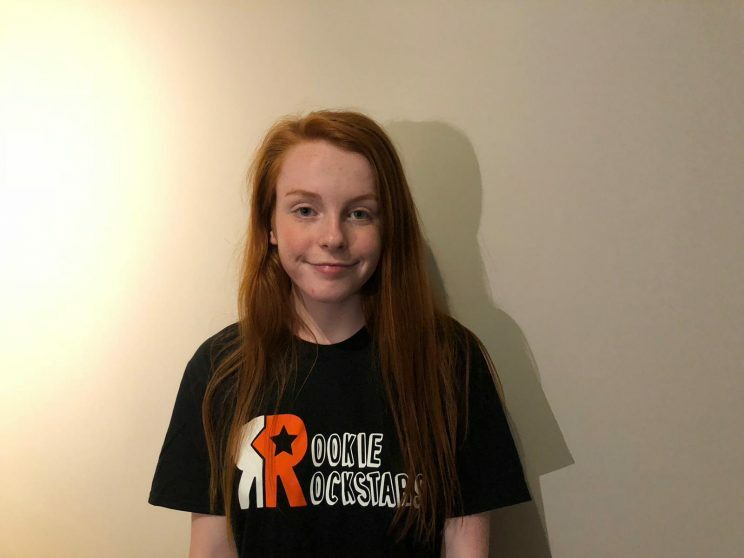 As a result of playing in the ceilidh band, Rhona was encouraged to take up bass guitar and fiddle and is currently working towards grade 6 violin. She has been in various Folk and Rock bands and has played festivals such as Celtic Connections and several times at The Dougie Maclean Festival. Rhona has also performed solo guitar and fiddle at G66+ Live and Mayfest. She is currently a member of The Campsie Scottish Folk Players and The Campsie Ceilidh Band, playing fiddle. Rhona also helps out in reception from time to time. 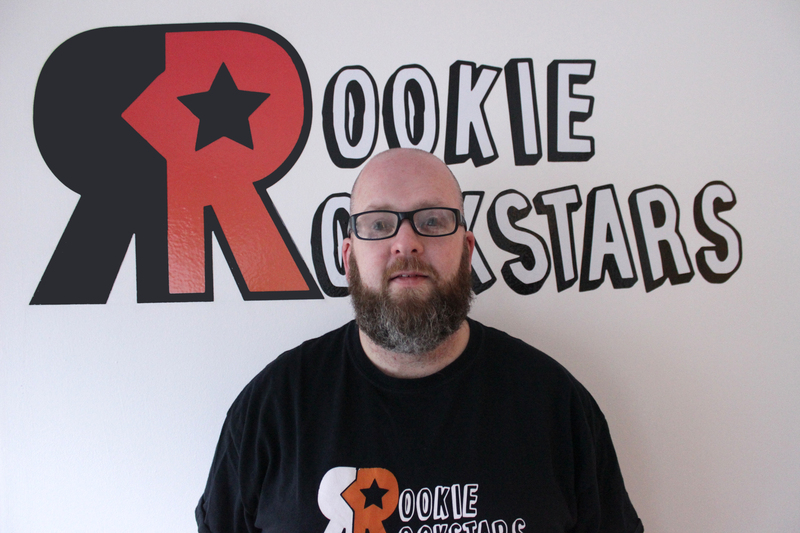 Mike is a guitarist and sound engineer based in Glasgow. He is especially interested in improvised music, and with experience spanning rock, jazz, blues, traditional and classical, he has taught people of all ages and interests for 9 years. He holds a BMus from Newcastle University and an MSc in sound design from Edinburgh College of Art. As a performer he tours nationally and internationally with the trio Taupe, and his sound design work has been exhibited as far and as wide as Chile and Portugal. Robbie is a graduate from the Royal Conservatoire of Scotland (RCS), with a bachelor’s degree in performance on the clarinet. Having achieved ABRSM grade 8 in both clarinet and piano by 2014 at the Aberdeen city music school, he continued to study piano as a secondary instrument at the RCS with departmental first study tutors. Robbie has more than 10 years of performance and recording experience playing as a soloist, in chamber groups, in orchestras and jazz/funk ensembles. 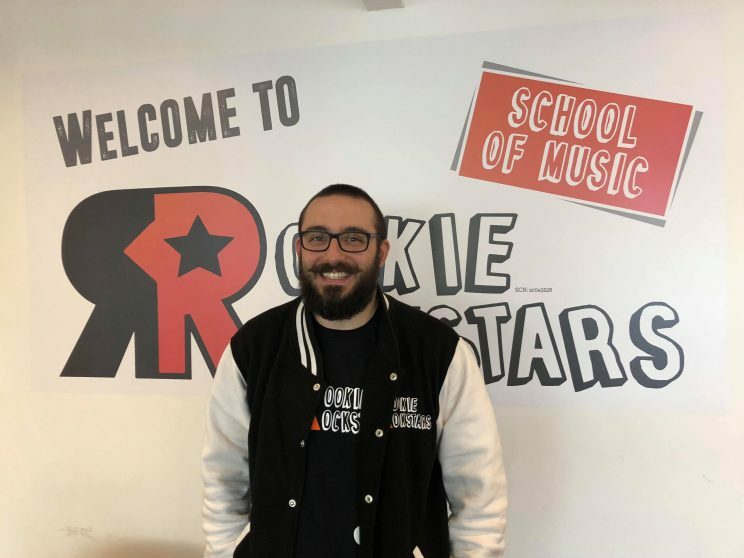 He is committed to ensuring that music is accessible and enjoyable for everyone and loves learning from others as well as passing on his own knowledge. 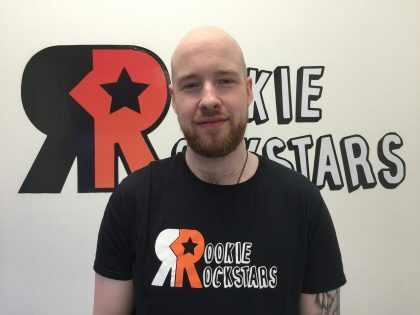 Fraser is a soulful drummer based in Glasgow who has toured internationally with Harakiri, the MCSM Contemporary Vocal Ensemble, and The Human Empire. He learned his trade at McNally Smith College of Music in St. Paul, Minnesota, under the guidance of internationally in-demand drum set clinician Dave Stanoch. Alongside this master technician, Fraser has learned from greats such as Paul Stueber, David Schmalenberger, Kevin Washington, Marv Dahlgren and Gordy Knudtson. Fraser was the principal percussionist for four years at Bethlehem Baptist Church under the directorship of Dr Matthew Westerholm and served as the Assistant for Worship and Music. During his eight years as a professional, Fraser has enjoyed playing a variety of styles including neo-soul, funk, rock, pop and hip hop alongside various artists such as; Ian Everson, Ethan Yeshaya, Trevor Wiest, The Brandon Projekt, Ashley Dubose and many more incredible artists. 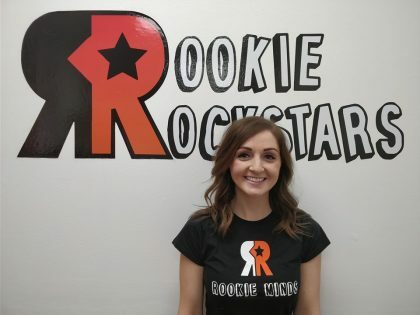 Beth is a cover piano tutor for Rookie Rockstars. She is currently a full time student studying the BEd Music course at the Royal Conservatoire of Scotland. Her principle study is the piano, which she has played since the age of 6, however, she also loves to sing and can play a bit of flute! 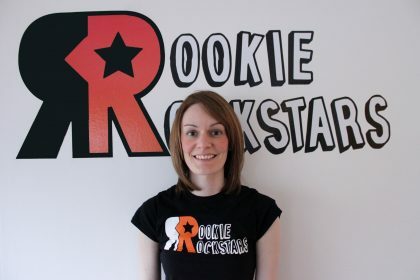 Hannah is a vocals tutor for our Kirkintilloch and Cumbernauld schools. She graduated from the Academy of Music and Sound with a 2:1 in Performance Industries. 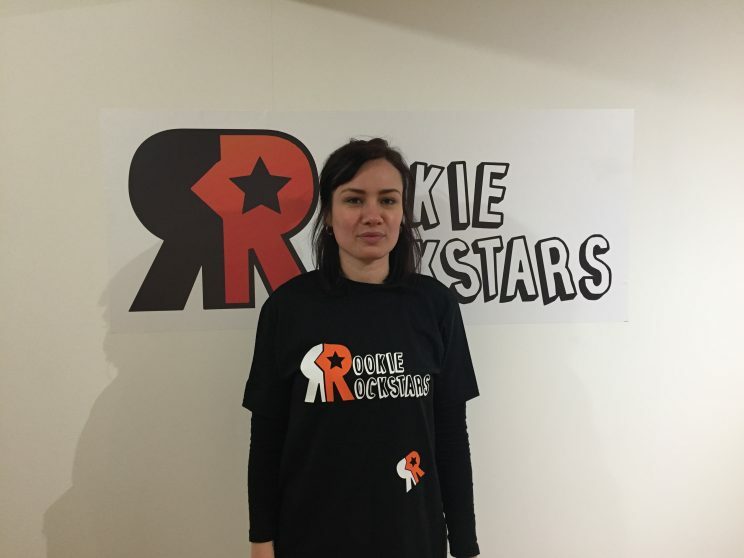 She is very passionate about performing and regularly gigs around Glasgow whether it be solo or with a wedding/cover band. Hannah also plays the guitar and attended weekly lessons for 7 years. 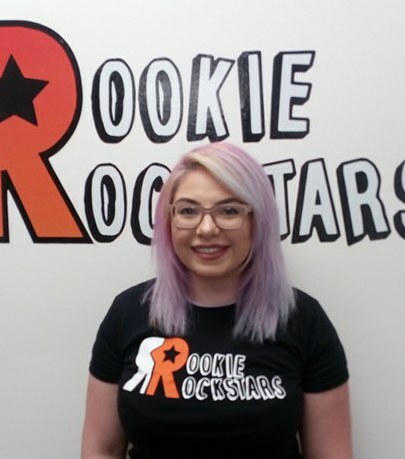 Since graduating Hannah has found a passion for teaching and wants to boost pupils confidence to sing and perform. Kristina Yorgova is a pianist based in Glasgow, Scotland, where she is pursuing her Masters of Music degree studying with Prof. Petras Geniusas. Most recently, she received a Diploma at the VIII International Piano Competition Stasys Vainiunas in Lithuania. She has received many awards throughout her career. She has played recitals in venues across Scotland, including recitals in the Usher Hall and the Brunton Theatre, Edinburgh. Outside of the United Kingdom she has performed in Bulgaria, Belgium, France, Germany, Lithuania, Norway, and Russia. Kristina is Bulgarian/Russian by origin but started her piano studies in Konservatorium Georg Friedrich Handel, Halle/Saale, Germany. She graduated her Bachelor of Music degree in the piano class of Prof. Fali Pavri and started her Master’s degree on an exchange programme in the Rachmaninov State Conservatoire in Rostov-on-Don, Russia, studying with Sergei Osipenko. She is grateful to be supported in her studies by the RCS Trust, as well as the Kathleen Trust, Split Infinity Trust and the Denne Gilkes Memorial Fund. Lise is a vocal practitioner with a particular interest in exploring the voice as a therapeutic, self-development tool. She explores wellbeing through healthy vocalisation, applying a multidisciplinary holistic approach to working with the voice. Her own creative practice includes: songwriting, musical performance, collaboration and producing. Lise’s ongoing personal research on the voice examines the concept of a true voice and ways to explore personal identity through building a relationship with one’s own sound. This builds on work completed for her Masters in Popular Music at the University of Glasgow. Her main aim is to support students through facilitating a safe, fun space for them to explore voice work. Alix is a young musician that is extremely passionate about mental health, as the chair person for the rookie minds youth board, she is developing innovative and accessible ways for mental health services to be brought to all young people. 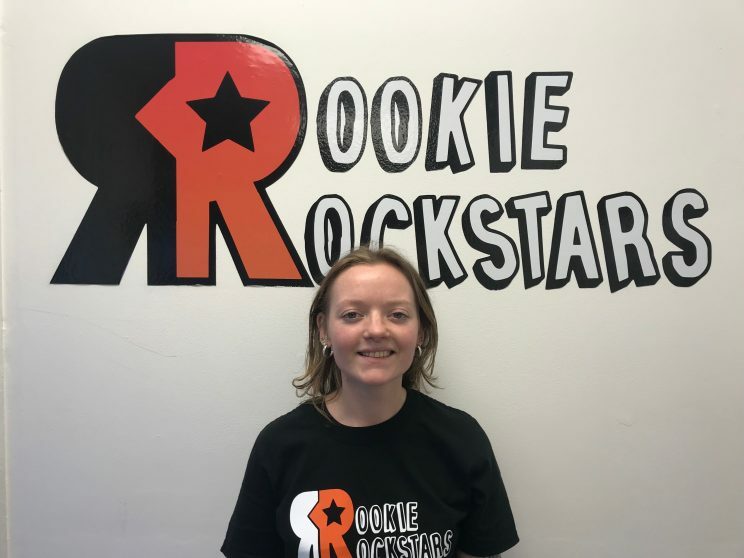 She is a member of the Police Scotland Youth Volunteers, a Health and well-being mentor for her school and has been part of the Glasgow Schools Voice Factory choir for the last 7 years. 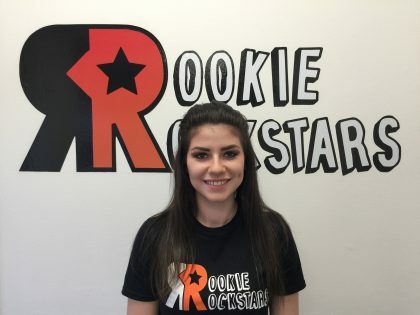 She is keen to help others and is excited to gain life experience and make a difference. Abby is a determined young individual who is eager to bring awareness to mental health in every way she can. 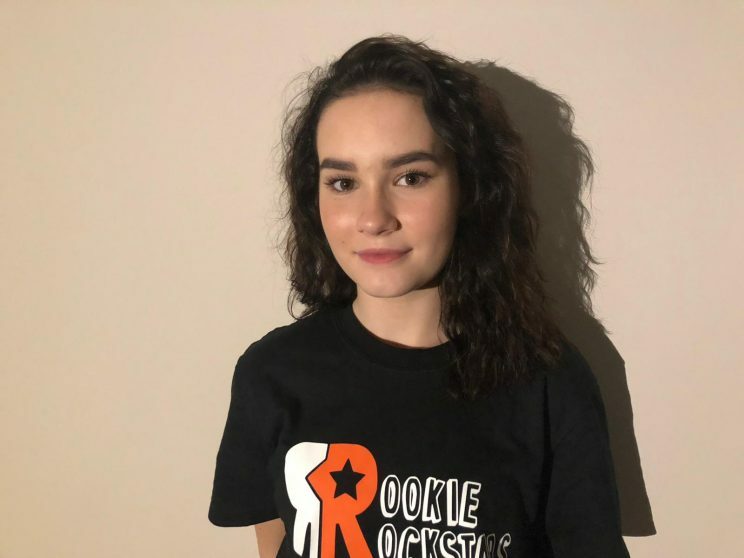 She is interested in giving as much time and support she can to the youth mental health board to help improve the services they can provide. She is passionate about mental health after events in her own life and family life to do with mental health and she wants to make a difference and help others in any way she can. 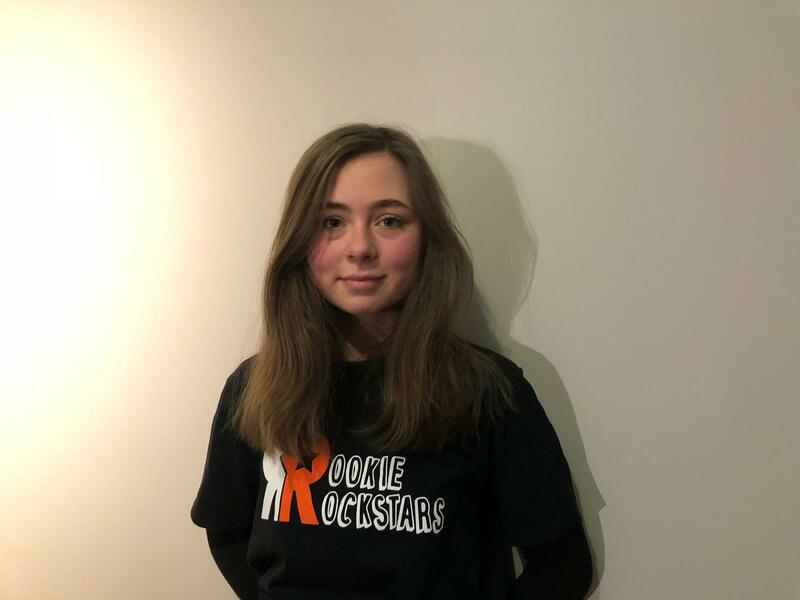 Eva is a creative young girl who is very passionate about raising awareness of mental health issues, and breaking down the stigma associated with them. Inspired by her own personal struggle with eating disorders and experiences of mental health issues within her family, she is dedicated to improving the mental health and wellbeing of the young people in her area. Eva also enjoys writing, drawing and spending time with her friends. Steph is driven about helping those going through a difficult time as she has been through many herself. She offers herself as someone to distract you from situation you might want a break from but also as someone who is there as a friend to listen to anything you have to say. Steph is knowledgeable on both sports and music and is happy to run sessions to provide a safe place for young people to go. 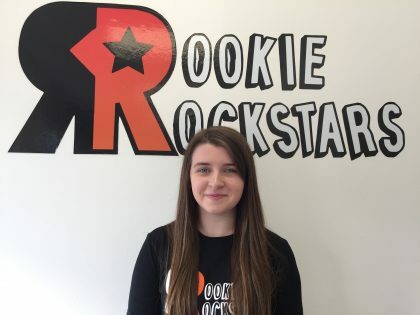 Rachel is a motivated student, who shows a strong interest in the movement behind the rookie minds youth board. She prides in her compassion and desire to help others, and is determined to support RMYB in every way she can. Rachel is considerate and cares deeply about her friends and family, she wants to extend this kindness to help people her age focus on bettering their mental health. Jillian is an experienced Speech and Language Therapist. She selflessly took a year out to support Dave after he approached her and asked for help to turn the programme into what it is today. She also toured internationally with Dave’s former band. 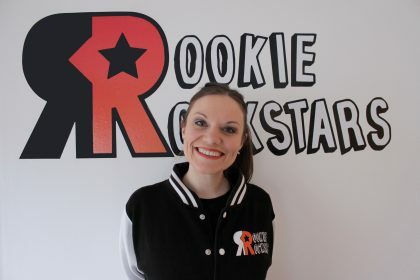 Her understanding of Music, Education and her experience in working with young folk with additional support needs, gives her a huge amount of knowledge to bring to the table! Performance and Events management. He has performed in some of the biggest venues in the UK and had numerous acting roles on major soaps. He has performed with Cilla Black and interviewed some of the biggest artists in the world on various radio stations over the years! He was also part of the cast, along side Amy MacDonald for the Common Wealth Games 2014 opening ceremony. Despite her young looks Helena is a very experienced Lawyer and we are thrilled she has agreed to lend her knowledge and advice as a member of our trustees.